Squarespace Vs WordPress is a trending topic. Factually, Squarespace is the best website builder available today used by 43% of all websites built on simple website building tools. Similarly, WordPress is the king of CMS (content management system) world that powers 30% of the CMS based websites online. Choose whether Squarespace or WordPress, you can build a wonderful website. No doubts, both of them are brilliant in their own respects but the vital question for us now is ‘which is the best website platform? The battle between the two warriors is really tough. So, I have compared the features, pros and cons of using each WordPress and Squarespace so as to help you choose the right platform for your new website. Well, WordPress and Squarespace are two distinct types of services that provide you different ways to build a website. There are several differences between these two platforms which I have discussed in 8 different categories below. You can click on any point to directly see that section. I have mentioned the concluding note declaring the winner in each section. And, the wrapping up section is all about what platform suits you the best. So, keep sticking. Here is the summary of the article – comparison table for you. Squarespace is an online tool for creating a fully functional website. WordPress is an open source free software which lets you create a beautiful website, blog or app. It is a type of subscription-based service that you pay a monthly fee for using it. You need to find a WordPress hosting and install the software on your server to run. You get a free Squarespace subdomain like MYSITE.squarespace.com. If you want a custom domain, you can buy it from Squarespace or use the one you already have. You get a domain name free with some of the hosting plans but they don’t provide you need to buy a domain name from third party domain companies. SSL certificate is included in the Squarespace plans. SSL certificate is included with the hosting plan sometimes otherwise; you must get one from third party certificate providers like Let’s Encrypt. It has in-built eCommerce features so that you can create feature-rich online stores. But you must choose eCommerce specified plans. WooCommerce provides the eCommerce power to WordPress which comes in the form of a FREE plugin. In addition, you can get hundreds of free premium WooCommerce themes. SEO: Readily search engine optimized platform SEO: WordPress has an SEO-friendly interface, pages, and posts. In addition, there are several SEO plugins like Yoast SEO. Security and Maintenance: In-built security features with every Squarespace website. Security & Maintenance: You are responsible for protecting WordPress security. Most of the security also depends on the WordPress hosting you are using. Customer support: Rich knowledge base and dedicated support via email, community forum, and chat. Customer support: Tons of resources, tutorials, videos, and documentations are available. You can get support via forums, emails, & chat. WordPress and Squarespace are both awesome website building platforms empowering you to create websites but they are fundamentally different. 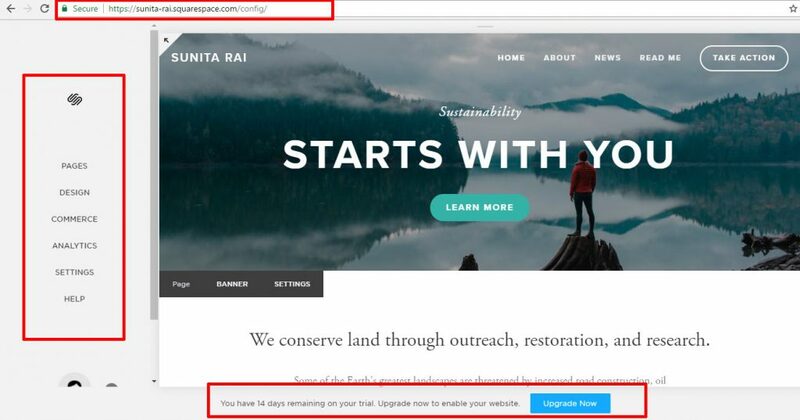 The major difference between these two platforms is the way they let you start your website: 1) Sign up and start building a site with Squarespace. 2) Install WordPress software on a hosting server and start site with WordPress. Now, let’s discuss each platform in detail. Squarespace is an online tool for creating a fully functional website. It is a type of subscription-based service that you pay a monthly fee for using it. Moreover, it is an all-in-one solution that provides everything you need to start a website, grow and establish your own online identity. It includes the content management system software, hosting, domain, themes and templates, eCommerce, and support. In order to start a new website on Squarespace, you have to sign up, enter some details about your website and pick any one plan suitable for you. And, you are almost done with setting up your new website within some minutes. Squarespace provides in-house hosting so that you are away from finding a hosting service. It is a completely independent all-in-one service. Squarespace has a simple and user-friendly interface along with readily built templates. You can simply choose any theme you like and start inserting your own content. Squarespace is basically a beginner-friendly platform however it also has a developer version aimed at the coders. But, this article is about the most popular standard version of Squarespace. WordPress is an open source free software which lets you create a beautiful website, blog or app. Started as a simple blogging platform, WordPress evolved to be a complete content management system (CMS) in a short period of time. It is now widely used to power fully functional websites, online stores, giant magazines and blogs online. Undoubtedly, WordPress is an amazing CMS which provides a simple interface to develop a complete website. Unlike Squarespace, WordPress is a piece of software which you need to install and host on your server to go online. It is basically a free software which you can download free of cost from official WordPress.org website. Then, you must find a WordPress hosting company, install WordPress on it, find a WordPress theme and install it. This way you are almost done with website setup. Furthermore, working with the WordPress dashboard is easy. It provides a very simple platform that is easy to configure and customize for everyone including the non-coding people. Although WordPress has two flavors as WordPress.com and WordPress.org, this article is about the feature-rich WordPress.org version. In the nutshell, Squarespace is an online tool where you sign up and start building a site whereas WordPress is a piece of software that you need to install on a hosting server by yourself and start creating a site. Moreover, Squarespace is a standalone fully-hosted website building platform while WordPress requires a third party hosting company to go online. Well, Squarespace and WordPress both of the platforms are doubtlessly rich with awesome features. You can create full-fledged websites using any one platform however there are some certain points in which one is more convincing over another. So, let’s check out the major features of the two platforms to see which is more promising with regards to flexibility. 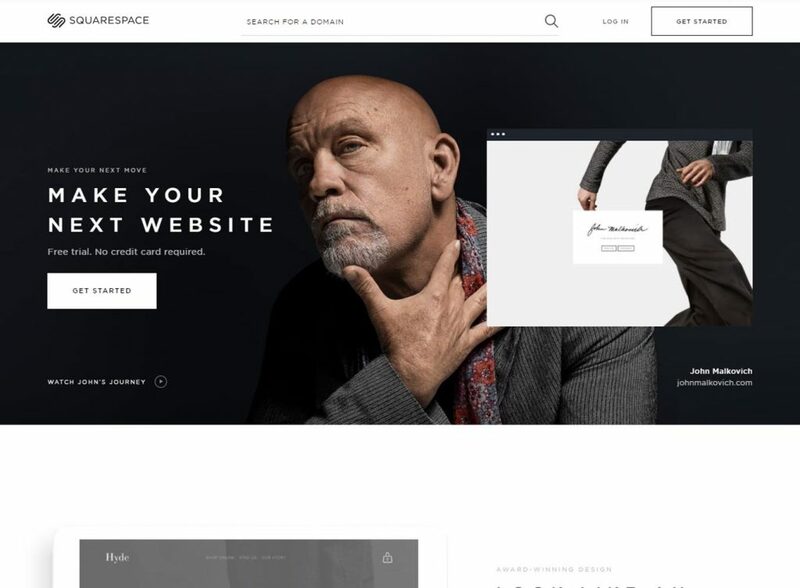 Squarespace is a website builder allowing you a space to create a website within the Squarespace’s premises. It has plenty of themes and templates, in-built tools, and widgets to help you design your website on your own way. However, everything you make on this platform is limited to the in-house features and functionalities. Yet as a beginner, it’s pretty cool to have everything in-house; not needing to add extra tools. Automatically Responsive – All Squarespace websites, pages are responsive and completely mobile-friendly. Feature-rich image manager – Drag and drop image management, CDN, direct image editing with Adobe image editor etc. Social media connected – Connect with any social media account and display social links on your site. In–built eCommerce – Fully functional eCommerce platform to let you start an online store. FREE Squarespace subdomain – You get a free Squarespace subdomain by default (E.g.squarespace.com). Additionally, you can purchase domains directly from Squarespace. Feature-rich blogging module – Category and tag support, scheduled posts, social sharing, RSS blocks etc. Audio Collections – Upload music directly to Squarespace website and share them beautifully. In-built Website Analytics – Traffic overview, traffic sources, sales overview, commerce overview, purchase funnel etc. In conclusion, Squarespace is a complete all-inclusive platform with plenty of in-built features. 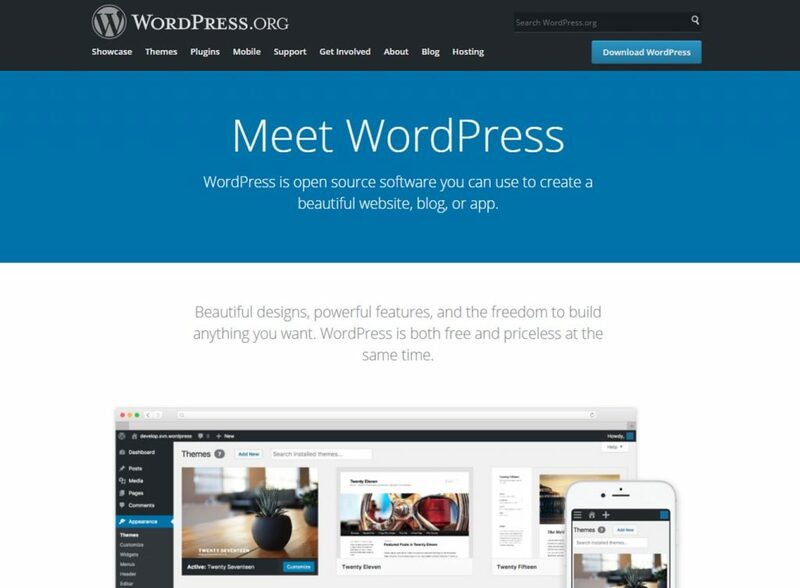 In contrast to Squarespace, WordPress offers an uninterrupted freedom and flexibility. First, WordPress is free open source platform which means users can download free, use, modify, and change anyway they want. Second, there are limitless WordPress resources available on the web which is basically the outcome of it being open source. So, WordPress is unbeatable regarding the features and flexibility. Fully Responsive – WordPress platform is readily responsive which fits well with all types of devices. There are plenty of responsive WordPress themes that are fully optimized for mobile devices. Thousands of FREE & Paid WordPress Plugins – Plugins are smaller pieces of WordPress software that work as handy tools for adding specific features on WordPress sites. Get any feature you want with unlimited choices. WooCommerce Powered – WordPress is fully powered by wonderful WooCommerce plugin for eCommerce functionality. Plenty of WooCommerce themes make it even easier to create online store using WordPress. Social Media Integration – Most of the WordPress themes come with in-built social media integration where there are several great social media WordPress plugins. Powerful Content Management – Add any type of content, create pages, posts, tags, categories, and insert media. Custom design – It lets you limitless custom design opportunities via simple custom coding, custom themes and lately page builder plugins. Website Analytics – Easily integrate Google Analytics for the website analytics, traffic overview, content overview, and traffic sources and mediums. Additionally, you can integrate any analytics plugin. In conclusion, WordPress is a superb platform with limitless features and free flexibility. In the nutshell, both Squarespace and WordPress are fully feature-rich but when it comes to flexibility and customization options WordPress is the winner. There are no chances of adding extra features that are not available on Squarespace platform while WordPress offers limitless customization options with WordPress plugins or custom coding tweaks. Actually, both are easy to use platforms but the way of using is unique to each other. So, let’s discuss how you can build a site with WordPress and Squarespace separately. Thereafter, you can decide which seems easier to you. 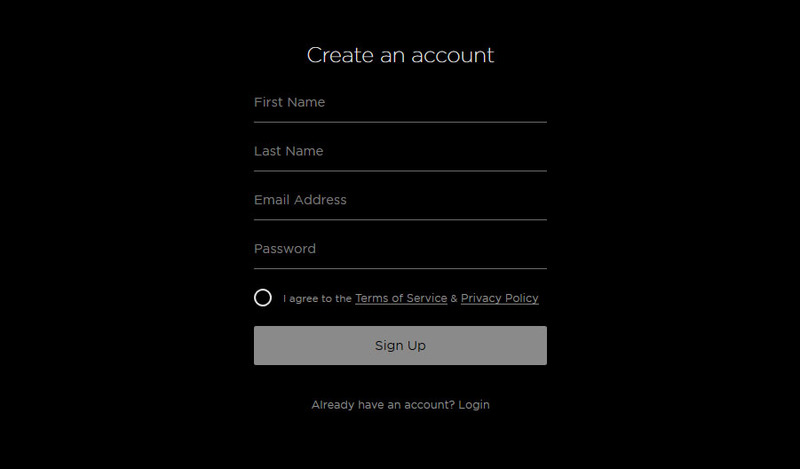 Insert your account details there and go ahead where you will see a welcome page. Click on the ‘Start’ button and you’ll see a page with setup step 1 like below. Now, choose the website category and go to step 2. You can make your site category more specific there as you can choose what your website is about. Next, Step 3 allows you to choose your site goals including showcase portfolio, sell products, publish content etc. Then comes the final step where you define your site title and click on ‘Done’. And yes, you are almost done with basic setup. You have a free trial website ready with a Squarespace subdomain as shown in the image below. In order to make the website live, you must click on ‘Upgrade Now‘ button, choose a suitable plan and pay money for it. Furthermore, you can add and customize pages, make design changes, add eCommerce features, change settings, and view analytics through the options in the left sidebar as shown in the screenshot above. If you want to buy a custom domain or use an existing custom domain, go to ‘Settings’ and then click on ‘Domains’. Yeah, you are almost done with setting up a Squarespace website. It’s pretty simple. Well, starting with WordPress is little more time-taking and complex in comparison to Squarespace. In order to build a WordPress website, you have to collect resources and connect them to make a whole. First you must download WordPress software from WordPress.org and start looking for a hosting. However, WordPress software installation is made possible in a single click by most of the WordPress hosting companies so you don’t need to download it manually from WordPress.org. So first of all, choose a hosting service provider and a suitable plan. Next, you must choose a domain name (even domain name is included with some hosting services, e.g. Bluehost). Once you get access to the server, host your domain, install WordPress and you are ready to start with WordPress dashboard. Now you can add a WordPress theme of your choice. 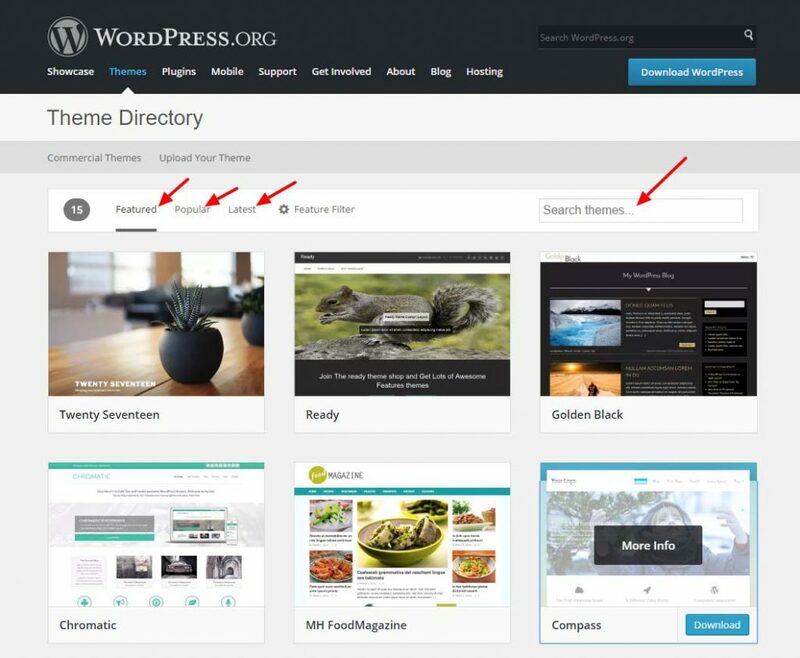 If you have a downloaded theme file, you can upload or simply add a free theme online from WordPress.org. Next, add some essential WordPress plugins to your WordPress website. In the nutshell, Squarespace is more beginner-friendly platform than WordPress. It takes care of hosting, domain and provides a ready-to-use content management system whereas WordPress requires you to get your hands dirty; choosing hosting, installing software, getting themes and plugins. At the meantime, WordPress interface is also amazingly simple as Squarespace which anyone can easily understand and work with after setup and installation. Design is another very important thing to be considered while selecting a website platform. A visually effective and attractive design can greatly help you grow your website and make money. Let’s see how Squarespace and WordPress manage website design. 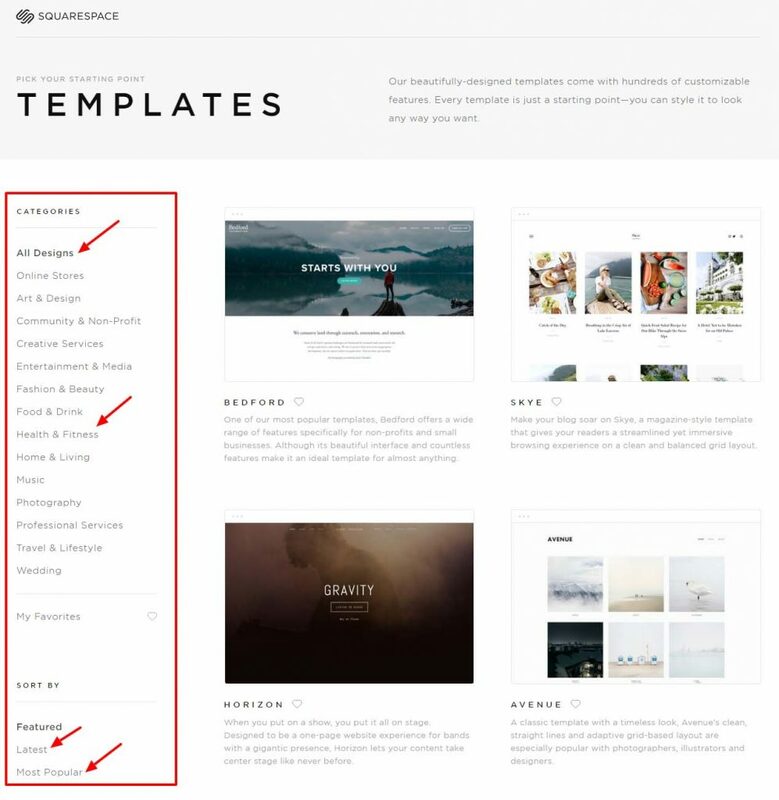 Squarespace offers over 60 beautifully designed templates for you to choose from. They are further categorized into various categories such as online stores, art, and design, community & non-profit, fashion and beauty, photography, travel, wedding etc. All the available themes are fully responsive and are highly customizable. Squarespace has now developed LayoutEngine which lets you an easy way to customize the template and create beautiful designs. It works quite similar to drag and drop WordPress page builder plugins which allow rearranging the content blocks so as to build a new design. WordPress is incomparably rich in design with thousands of amazing free and premium themes and templates. It offers endless design possibilities with themes, plugins, and custom design tweaks. Since WordPress is open source platform, it has a broad worldwide community of WordPress developers and designers who have contributed incredible WordPress products. Literally, there are thousands of free WordPress themes in the official WordPress theme repository. Furthermore, you get awesome free and premium themes in the third party WordPress company websites like ThemeGrill, Elegant Themes etc. If you want to buy premium themes, you can visit Themeforest which is the most popular WP theme marketplace. In the nutshell, both Squarespace and WordPress have intuitive and great-looking design options however WordPress is far more flexible than Squarespace regarding design. Squarespace has limited in-house design templates and in-house tools but there are endless design possibilities with thousands of themes, plugins and custom CSS options in WordPress. How much does a website cost? This is one of the most frequently asked questions every user asks as s/he is planning to start a website. Well, it’s indeed a vital question. You must choose a platform that is suitable for the budget available. Now, let’s compare the cost of the two platforms here. WordPress hosting (Sitground’s GoGeek Plan): $11.95/mo. As shown in the table above, the minimum cost of both the platforms seems fairly reasonable and similar to each other. WordPress seems a little bit cheaper than Squarespace in the comparison table which can even lower if you choose cheaper WordPress hosting. If you choose SiteGround’s StartUp plan instead of GoGeek, it just costs you $3.95/mo. however, the services including space and bandwidth will be limited. Now let’s discuss the pricing plans for the two platforms separately. Squarespace is a subscription-based service which is why there are not many options as for WordPress hosting plans. You have to sign up anyone from the four Squarespace plans available. Squarespace features two pricing plans for websites and two pricing plans for online stores. Choose Personal Plan ($12/mo. *), if you want to build a personal website, blog, portfolio website. Choose Business Plan ($18/mo. *), if you want to build a business website, sell products, and earn money. Choose Basic Plan ($26/mo. *), if you want to build an eCommerce website, add unlimited products, accept payments and earn money. Choose Advanced Plan ($40/mo. *), if you want to build an eCommerce website which grows rapidly and may need advanced features in the future. Since WordPress is free open source software, you get it completely free of cost. All you need to buy is hosting service and domain. WordPress hosting can be purchased as low as $2/95/mo. At Bluehost and basic hosting plan at other hosting companies is also available for almost $3 to $9. However, I have chosen SiteGround’s GoGeek plan above to meet the features Basic Squarespace offers. If you want to learn more about WooCommerce hosting pricing, check out this blog about best WordPress hosting services. Some of the WordPress hosting companies offer a free domain with the hosting plans which is an advantage. Bluehost, DreamHost, and GreenGeeks do provide free domain with the purchase of hosting service. If you buy hosting from theme companies, you will save some bucks that may be spent for a domain. Else, you have to buy a domain from domain providers like GoDaddy. A .com domain costs $11.99/ year at GoDaddy. When you are done with hosting and domain, install WordPress. This is what it takes to start a basic WordPress site. In the nutshell, WordPress is fairly low-budget website platform ideal for startups and small businesses. Squarespace has limited pricing options and seems more expensive than WordPress. However, if we consider the cut off of extra tasks like hosting, installing software with WordPress, the cost is fair enough. Last but not the least; customer support is another vital factor one must see before choosing any one platform. The customer service is a more important factor if you are a beginner because you may need help anytime setting up, designing or customizing store. Squarespace is fundamentally a paid service which makes the customer service more convincing than WordPress which is technically free software. It offers 24 hours a day, 7 days a week expert support to its customers via live chat email and community forums. In addition, Squarespace has a rich knowledge base where users can find plenty of resources and tutorials. 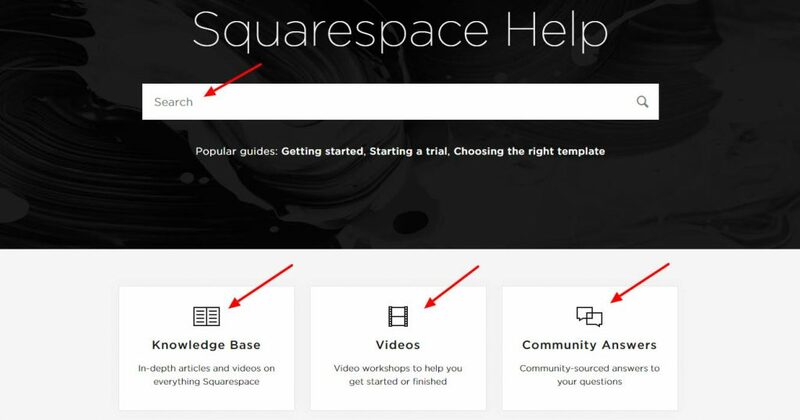 Go to Squarespace Support page. WordPress is a free open source software which has now a great worldwide community. Therefore, you can get thousands of amazing WordPress resources, tutorials, and documentations online. In addition, there are thousands of WordPress experts active on WordPress community forums solving issues and providing WordPress support. 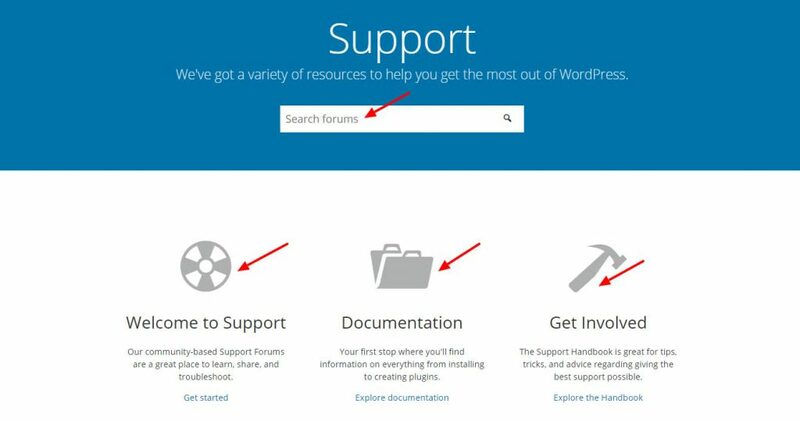 Next, you can get support via from the WordPress product specific experts. If you have any theme related issue, you must consult the theme company and Plugin Company for plugin related problem. There are product specific community forums available and on top of which most of the WordPress companies provide dedicated customer support. Go to WordPress.org Support Page. In the nutshell, both Squarespace and WordPress are good customer support providers. So, I decided not to determine the winner in this section. Finally, we are done with the overall comparison of the two platforms Squarespace and WordPress. And we can conclude that both of these platforms amazing and great for building websites. However, it is essential to choose one of them.Now, you have to decide depending on your priorities, time, skills, budget, and long-term plan for the project. So, I hope this comparative article was helpful for you to choose one. If you are still confused, here’s what I think. Regardless of what level of web development knowledge you have now, if you want to learn & have time for it, work hard, and do a serious online business you must go for WordPress. Get you hands dirty and it’ll be rewarding! If you are a beginner and quite occupied with other tasks that you cannot manage adequate time for the website or want somebody else to take care of your website, go for Squarespace. Save time & go slow. Lastly, here is a general rating for these two platforms on the right side based on the review given above. Have any say? Feel free to write down below.